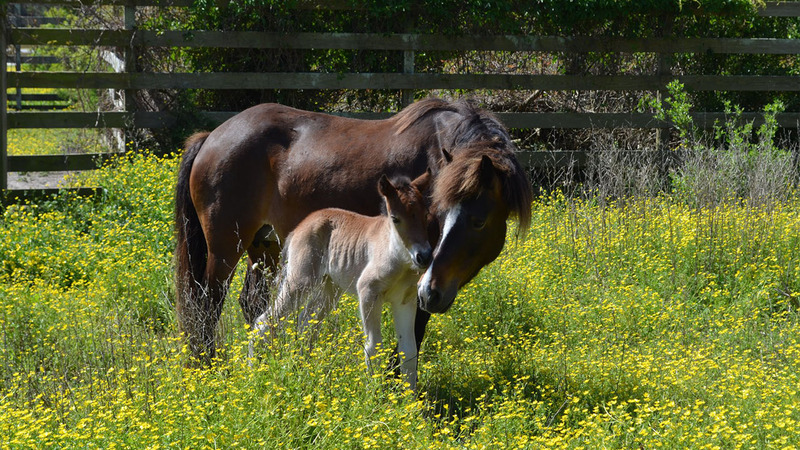 OCRACOKE, NC (WTVD) -- A small herd of horses on Ocracoke Island welcomed a new member to their family on Thursday. Students at Ocracoke School named the foal Winnie. She was born to Sacajawea, a mare from Shackleford Banks who joined the Ocracoke herd in 2010, and her father Captain Marvin Howard. But the foal isn't named after the horse's famous whinny but a former slave. Winnie Blount was a former slave from the Washington, NC area. According to Cape Hatteras National Seashore, Blount and her husband moved to Ocracoke after the Civil War and were the first African-American family on the island. Winnie will stay with her mother for at least six months and will join the rest of the herd in the fall of 2018. For more information about the Ocracoke ponies, visit the National Park Service's website.